Affordably Priced These Lens are a Glass, Gold Mirrored ( AQUA ) Welding Lens.. Amazing Clarity, and Very Affordable....Need Great Clarity, without spending alot? 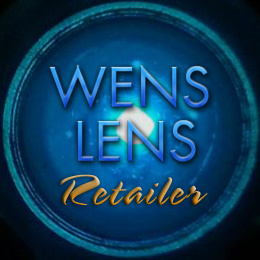 Great back up lens, while waiting for your new Wens Lens! The Aulektro Brand lens for welding applications is by far the best single piece welding lens on the market. It is superior in clarity, functionality, and economically. We here at Wens Lens, have decided without much discussion,that Aulektro Brand Welding Lenses (from Germany) are the top of the line in passive shade lenses.We believe in these lenses and their ability to aide welders in producing quality welds everytime. They reflect most all ifrared rays (97%) and UV rays are reflected and absorbed. The only lens better than the Aulektro is the Wens Lens Ultra. That being said, the Wens Lens Ultra, starts out every time with an Aulektro lens as a base lens. We would not use any other lens on the market. No other lens is even close to taking it's place nor will we ever consider it.